I am supper fast seller. I want to sell social comment. Actually I want to sell reddit custom comment. My service is very cheap. My offer title is reddit custom comment. My service price is very low only 1$. 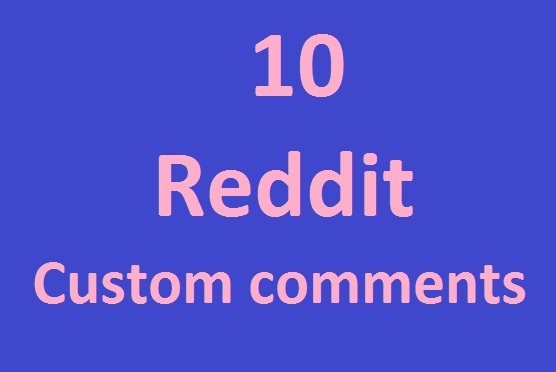 You get 10 custom comment for 1$. It is my real and professional service you can buy this service any time. * All is come real account. Note: If you have choice comment, you can sent me in order. So you can buy my service. Supper fast 10 reddit custom comment in 1 hours is ranked 4 out of 5. Based on 4 user reviews.